Joe’s Jeans, the popular lifestyle brand for premium denim clothing, was established in 2001 by Joe Dahan. Crafted with an intricate combination of style and technology, the brand draws inspiration from Los Angeles’s hip-hop Los lifestyle and rock-and-roll mood. Raw-hem denim shorts, slim-fit jeans, and neutral slim-fit twill jeans lend supreme comfort while allowing for maximum movement. 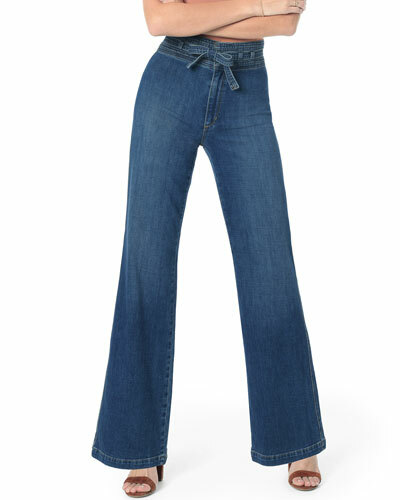 Joe’s Jeans clothing displays a versatility and timelessness that transcends short-lived trends. 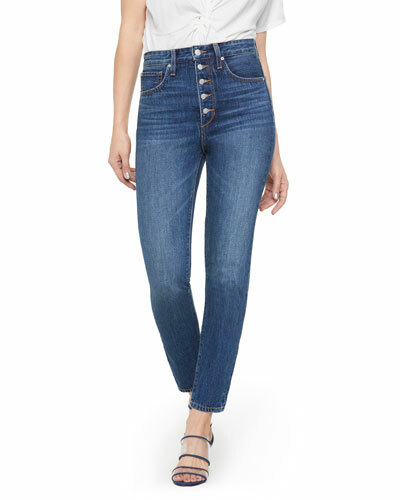 Shop from the wide selection of Joe’s Jeans men’s and women’s apparel at Neiman Marcus. DL 1961 Premium Denim "Florence" insta-sculpt jeans in stretch-denim. Approx. measurements: 9" rise; 26" inseam; 34.5" outseam; 6" leg opening. FRAME "Le High Skinny" jeans in stretch denim with whiskering and fading. Approx. measurements: 27" inseam; 35.5" outseam. High-waist; belt loops. Five-pocket style. Fitted through skinny legs. Ankle length. Button/zip fly. Cotton/polyester/spandex. Machine wash. Imported. Model's measurements: Height 5'11"/180cm, bust 32"/81cm, waist 24"/61cm, hips 35"/89cm, dress size US 2.